Whether you own a MacBook or an iPhone/iPad, or both, it’s very important to keep it safe. There’re different aspects to consider with this. These include the physical safety of the devices, digital security, and avoiding mishaps. A multi-pronged approach is required to make your Apple devices safer. Here are four ways to go about doing so. Let’s face it: Macs are an expensive piece of kit. They often priced significantly higher than a regular Windows PC and make tasty targets for thieves. Thieves that target laptops often go after Macs because they command a higher price. Most computer theft is opportunistic or takes advantage of security lapses. It’s easy to get complacent about when and where you use your MacBook Pro or MacBook Air. A visit to a coffee shop like Starbucks opens the door to issues and leaving your MacBook on a table in the café while rushing to the toilet creates a window of opportunity. Be mindful of when and where you reveal your Mac. Avoid public places where people you don’t know can see your valuables. Also, consider people nearby as potential security risks when out with your tech gear. Don’t wander home late in the day and always leave items at home if you don’t absolutely need them. Given the reality in the US where several million laptops are lost or stolen annually, it’s sensible to do what you can to protect or locate your PC. This not only helps the authorities to track down stolen goods, but it can assist you in other ways too. When you’re worried about what comes next if your laptop is stolen, it’s useful to know that the Hidden App team are ahead of you. Their software can track the location of your laptop, take images from the iSight camera, and even remotely lock the MacBook too. It’s possible to remotely wipe your data stores to protect it from data theft or ID theft. There’s also SSH Tunnelling to re-access your PC from another device after the laptop has been stolen. Neat stuff! Update iOS software regularly to the latest version. Avoid getting your phone hacked because a known flaw in a previous version was exploited (the same goes for updating MacOS too). Do not jailbreak your phone to gain access to the root level. This allows viruses and malware a chance to get loaded on the device through the third-party software you install during or after the jailbreaking. It is also likely to invalidate the device’s warranty too. Don’t install any unnecessary apps. Use only well-known apps that have a large install base. Also, if an app changes hands by being sold off, ensure the new owner is going to take care of the userbase. Sometimes, apps are bought for their customer data alone. While the fingerprintsensor is a useful feature to unlock your phone, it isn’t the be-all-and-end-all. It’s easy to leave your phone unlocked or be speaking on it when it’s snatched away. By using two-factor authentication, access through the unique Apple ID will require a separate confirmation to make security changes and update settings. It’s an excellent way to layer in more protection to deny illicit access. 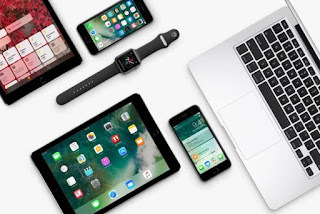 Ultimately, it’s necessary to be both vigilant about our Apple tech gear and consider how to make it secure in a connected, digital world. This applies to an iPhone, iPad, and MacBook too. Only when we take the necessary steps and avoid being complacent do we reduce the likelihood of a security problem.